Fabric manufacturing is one of the most important departments of Bangladeshi readymade garments export business. 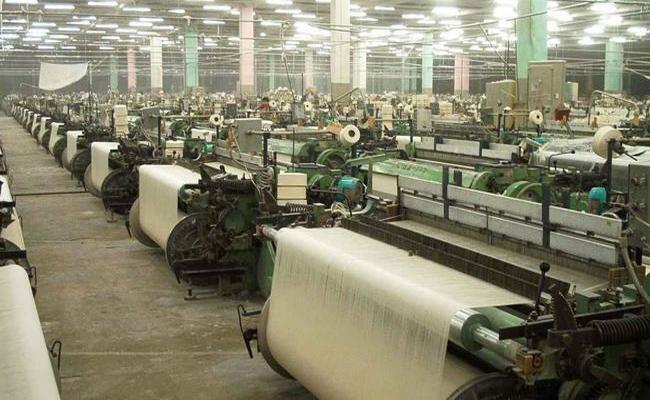 There are different types of fabric manufacturing factories such as weaving factories, knitting factories, home textile factories etc. This article presents here a list of top fabric manufacturing mills which are synchronized alphabetically. You can suggest your desired factory name here at comment box which may add to the top list according to public review. Motijheel C/A (7th Floor) Dhaka-1000. 2. Asian Fabrics Mills Ltd.
Head Office: 28 Dilkusha C/A, 4th Floor Dhaka-1000. Factory: Shashongaon, Enayetnagar, Fatullah, Narayangonj. 3. Fair Trade Fabrics Ltd.
5. Ismail Textile Mills Limited. 7. Mahmud Fabrics & Finishing Ltd.
10. Monowara Textile Mills (Pvt.) Ltd.
Head Office: 181 Khan Plaza, Arambagh,Motijheel C/A, Dhaka1000. 14. Regent Textile Mills Ltd.
19. Saima Samira Textile Mills Ltd.
Head Office: 245 Hathazari Road, Bibirhat, Chittagong.